between primary and secondary infections. NS1 is one of 7 Dengue Virus non-structural proteins which are thought to be involved in viral replication. 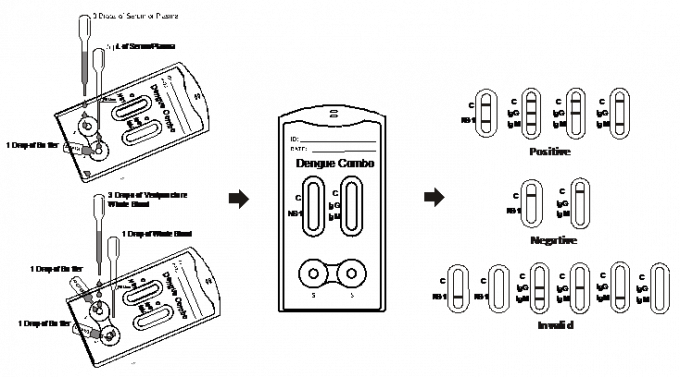 secreted as a soluble hexadimer. NS1 is essential for viral viability but its precise biological function is unknown. cells and platelets and this has been implicated in the development of Dengue Hemorrhagic fever. of IgG and IgM Dengue antibodies in human whole blood, serum, or plasma. detection of Dengue NS1 antigen in human whole blood, serum, or plasma. in IgM test line region. indicating that the proper volume of specimen has been added and membrane wicking has occurred. 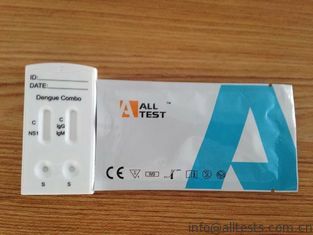 in the test region should be considered as positive result. anti-human IgM, anti-human IgG coated on the membrane. 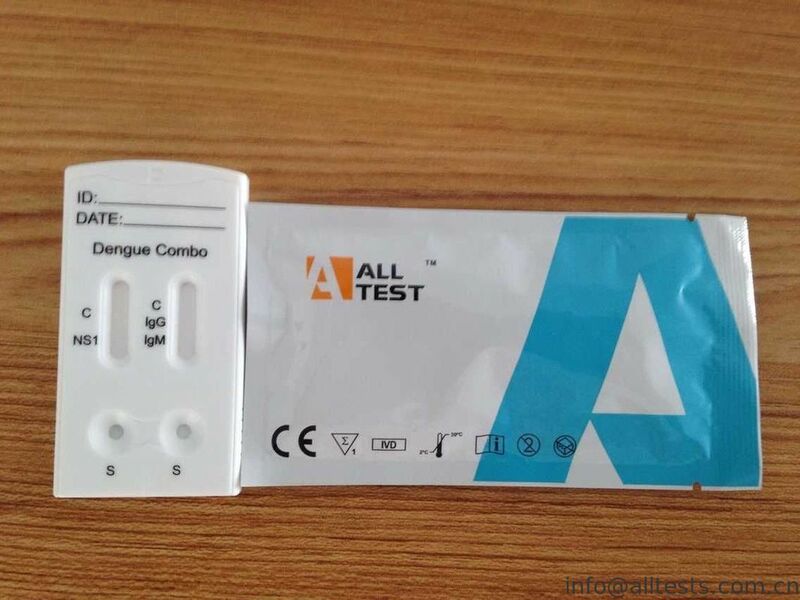 A rapid test for a qualitative test for the detection of NS1 antigen, IgG and IgM.